^ the Walking Dead Cast: Rick Grimes. amctv.com. [24 October 2012]. ^ Ryan McKee. 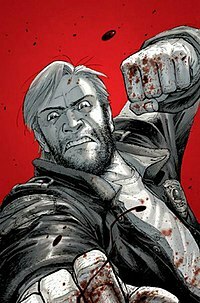 Top 10: Everyman Heroes - No.9 Rick Grimes - The Walking Dead. Askmen.com. [23 October 2012]. ^ Scott Tipton. TALKING ABOUT WALKING: COMICS 101 with Professor Scott Tipton. 2010-11-10 [24 October 2012].